3 DOCUMENTS INCLUDED - 1 Pattern document; 5 pages including many pictures; Helpful Hints doc and How to Add Thread doc. 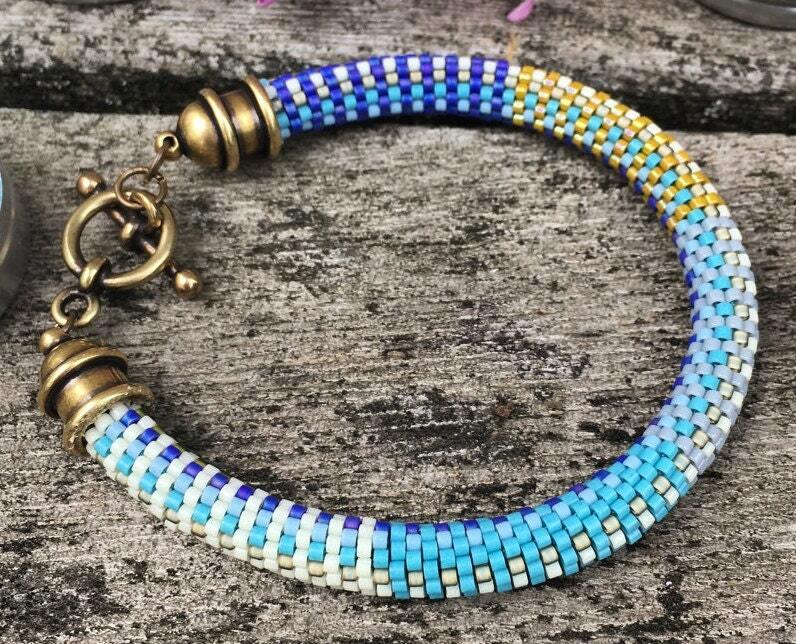 Crochet this bracelet using the Slip Stitch bead crochet method in a 9-around pattern. 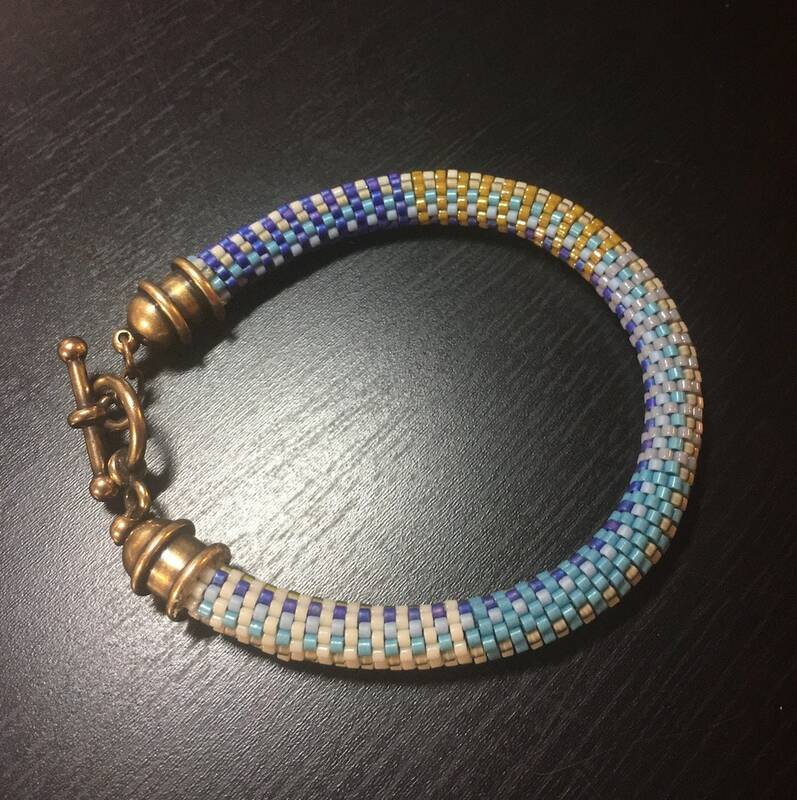 Using size 11/0 Miyuki Delica and 11/0 Toho Aiko seed beads in various colors creates an easy pattern to string, then crochet using the slip stitch technique. 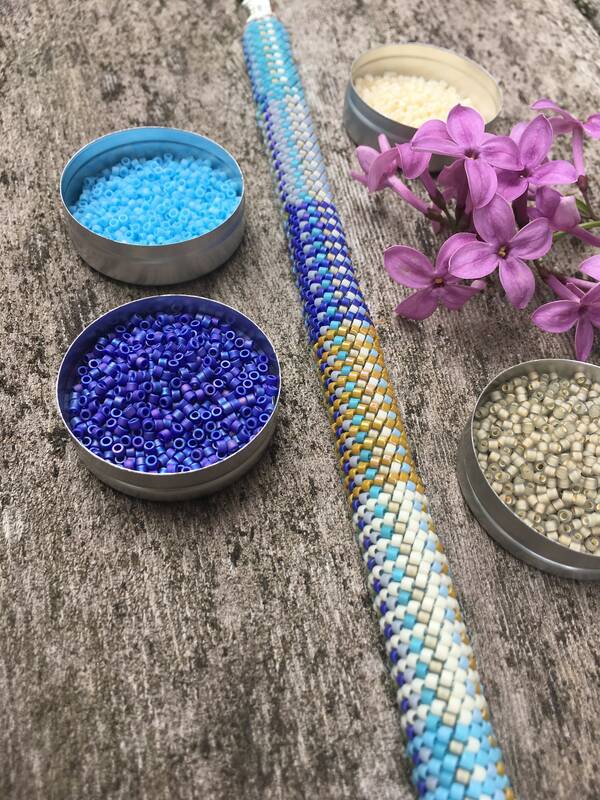 This pattern includes all seed bead colors and weights and full stringing chart. 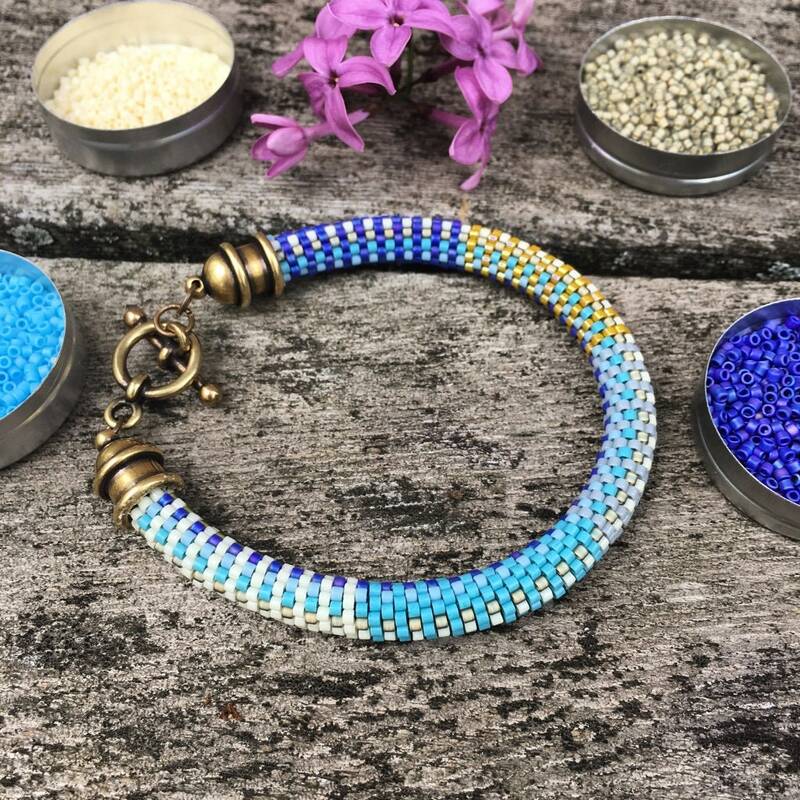 Kits are available and are perfect for saving time, getting the exact colors and materials used with no hassle! NOTE: No materials are included in the purchase of this pattern. You are purchasing three downloadable pdf files. THIS IS A DIGITAL PURCHASE.